July 31 - Nathan and Roberto training. 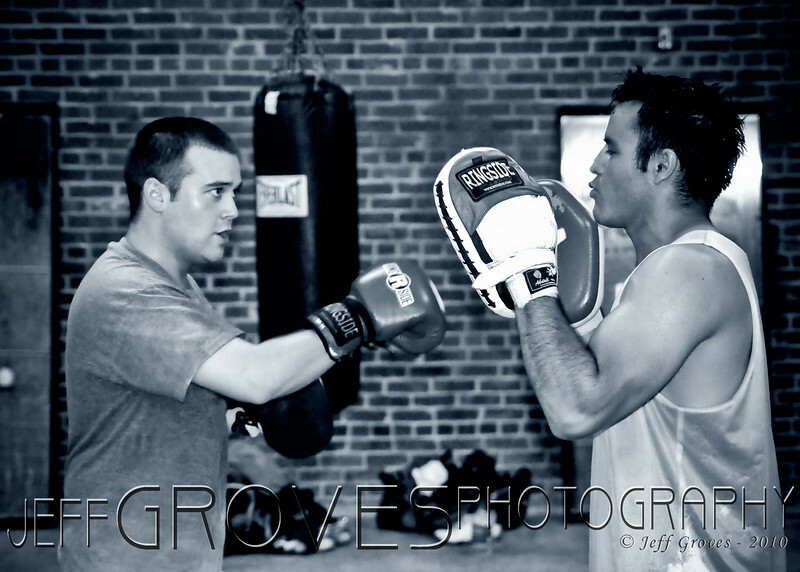 Took at lot of sparring photos last night, but decided to post this one over the rest. What I like about this photo is that Nathan (L) is my 25 yr. old son. He just moved back to Charlotte from Florida. This is his second week boxing. Thanks Roberto!